The skills to explore, design and navigate their future. Being able to confidently navigate a lifetime of learning and course adjustments is more essential than ever if we want young people not to simply survive but to thrive in an increasingly dynamic world. Our career resources and tools make it easy for educators to integrate evidence-based, best-practice into their program. Great Career Development as a superpower for schools. Everything you need, in a program they'll love. BECOME.ME is a web app supported by flexible curriculum-aligned learning resources. A subscription provides educators with everything needed to deliver ongoing multiyear best-practice career education. Every student can learn to build and refine ideas for their future from the inside out. Learning how to BECOME.ME. Dynamic web app for personal student exploration and insights. "one of the most important skills of the 21st century will be the ability to reinvent oneself quickly and repeatedly"
Our team will be happy to answer any questions about how BECOME.ME might work in your context. In the meantime, check out the case study in the video here and what some of our users say below. 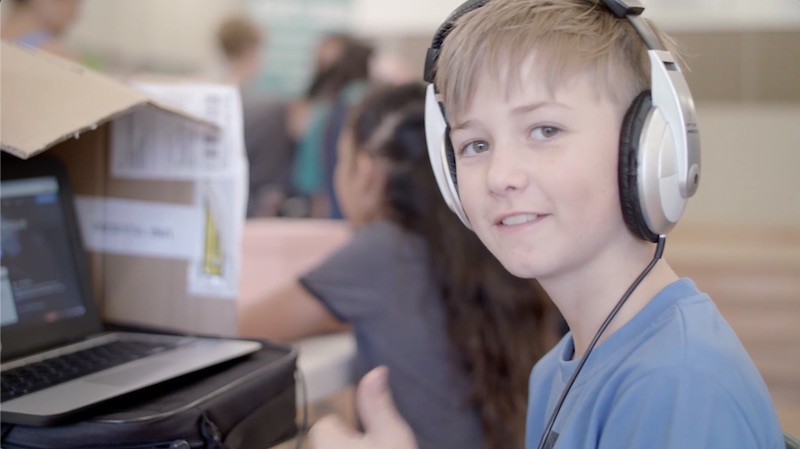 BECOME provides both the time, space and tools to engage students, school communities and educators in thinking more broadly about the wide and varied potential for a future that is built from your passion and interests out. It opened my eyes to a world of future jobs and how important my role is in encouraging and inspiring my students to want to achieve their goals. It is so important for teachers to believe in their students and to give them opportunities to explore their curiosities and open their eyes up to things they didn't know exist that might motivate them to work hard at school. Our world today will be superseded tomorrow with change. BECOME provides schools with a state of the art tool to help students grow their thinking of what their contribution in this world may be. This issue is currently underdone in schools and requires a rethink. I learnt just as much as the kids! I had the fixed mindset of asking the kids what they wanted to be and just accepting that fact without questioning them to explore things further or to look past their parents jobs. Now that I have the knowledge base to question their thinking I will be of more help to my students. It was fantastic. I had always known I wanted to work around social sciences and this made me consider jobs in that field. The strategies, process and stimuli that BECOME use really made conversations come alive for our students and helped our teachers show them the world of possibilities. awesome. it really opened my thoughts up about my future.